“Theatre engages the heart and the mind. It’s a hyperlink to change,” said Richard Benge, Executive Director, Arts Access Aotearoa, at the graduation of six women from the intensive, therapeutic programme in the Drug Treatment Unit at Arohata Prison in Wellington. 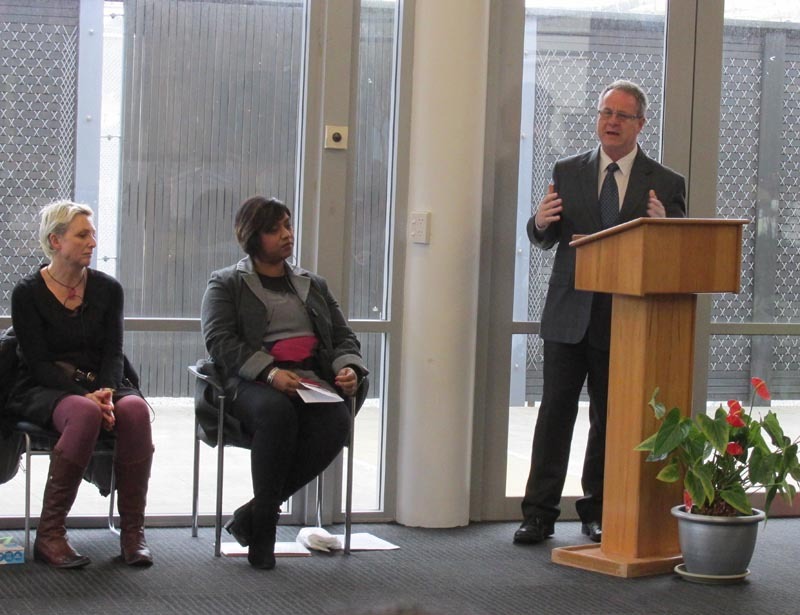 Richard, who was the keynote speaker at last week’s graduation ceremony, congratulated the women on what they had achieved. Each of the six women spoke about their rehabilitation journey. They spoke about how challenging the course had been; how hard they had worked; and how proud they felt. There were stories of pain and anger, of forgiveness and hope – and a lot of tissues to wipe away the tears. They all praised and thanked everyone who had supported and guided them: the Drug Treatment Unit’s clinicians and the staff at Arohata Prison, the volunteers, and their family and friends. Attending the ceremony were the 13 other women undertaking the six-month programme. 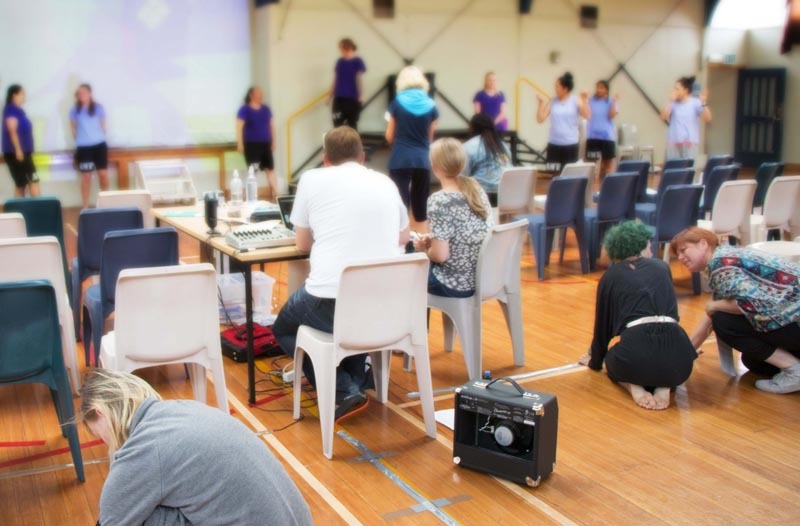 Most of the women had participated in a week-long theatre workshop in February 2016, led by German theatre practitioner Uta Plate with eight local arts practitioners and facilitated by Jacqui Moyes, Arts in Corrections Advisor, Arts Access Aotearoa. The workshop had culminated in a performance called Come Listen to my Story of Wonderland. After the graduation ceremony, the women performed a shorter version of the original work. There are nine Drug Treatment Units in prisons around New Zealand, eight of which are operated by CareNZ. Anita Grafton, Clinical Manager of the Drug Treatment Unit, said creative expression – tikanga-based arts, dance, theatre, quilting, speech-making, visual arts, creative writing, music – are vital elements for the women to explore on their journey to a new life. Over the week-long workshop, Anita saw a dramatic increase in the women’s self-confidence, self-esteem and self-worth. * Applied theatre, also known as applied drama, is an umbrella term for the use of theatre in an educational, community or therapeutic context. It is often done in non-theatrical spaces with participants who do not consider themselves to be artists. RNZ reporter Maja Burry attended the graduation ceremony. You can listen to her interview on Morning Report. Original generation time 1.6982 seconds. Cache Loaded in: 0.0519 seconds.